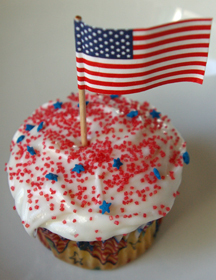 Daily Cupcake: Deception or Ignorance: Which is worse? The war in the Middle East upsets me. However much this is NOT a forum for my political affiliations/beliefs I will not suspend any amount of truth from being told here. The only thing that upsets me more than governmental deception is ignorance. Someday this will all be history. Please be assured that you can answer to your grandchildren and the history books, afterall, you got to be here. That’s not lucky, that’s a priviledge.